Cats are famous, or infamous, for their curiosity. But what happens when their sense of adventure and exploration extends into your kitchen or pantry? Then your kitty can go from intrepid to in trouble. There are certain human foods that can harm your cat; which items should you make sure to keep out of her reach? Finally, something cats and dogs can agree on: these foods can damage your pet’s red blood cells and cause anemia, as well as digestive upset. Keep raw, cooked, dehydrated, and powered forms of onions, garlic, chives, and related produce away from your cat. Grapes, including raisins, can cause kidney failure in cats (and dogs). Vets aren’t sure why, but they do know that even small amounts can cause vomiting and hyperactivity. Look out for these signs, as they can signal kidney failure. Keep these human treats off your countertops and tables. Yes, this means that cocoa, chocolate, cola, coffee, Red Bull, tea, and other caffeine-infused foods and beverages are no-gos for your cat. They can cause restlessness, tremors, rapid breathing, and irregular heart rate. Caffeine can be fatal in large enough doses. Chocolate deserves its own mention: in addition to caffeine, it contains theobromine. This is toxic for cats and can cause tremors, seizures, abnormal heart rate, and death. Keep your cat away from all chocolates – including white. The image of a cat happily lapping up a saucer of milk or cream is ingrained in many of us. Unfortunately, most of our feline friends are lactose intolerant. When they consume dairy, they can experience stomach upset, diarrhea, and vomiting. It only takes two teaspoons of whisky to put a 5-pound cat into a coma; a third is often fatal. Alcohol affects your pet’s liver and brain the same way it does yours – but there’s a whole lot less cat. While you would never intentionally give your kitty booze, make sure to keep your adult drinks out of reach. Products that are sweetened with xylitol – including candy, gum, baked goods, many diet foods, and toothpaste – can cause insulin spikes. This will drop your cat’s blood sugar, and may lead to liver failure. Soon after ingesting xylitol, she may experience vomiting, lethargy, loss of coordination, seizures, and, within only a few days, liver failure. 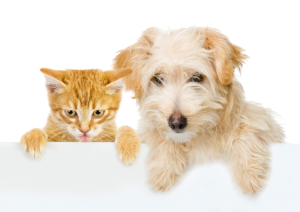 If you’re out of cat food, can you substitute dog food? Nope! While an occasional nibble on the kibble won’t cause harm, a steady diet of dog food will rob your cat of essential nutrients and result in malnutrition. Surprised to see this on the list? A small taste of liver now and then won’t hurt your cat, but when she consumes too much, it can cause vitamin A toxicity. This condition can result in deformed bones, growths on the elbows and spine, osteoporosis, and in some cases, death. Another surprise, especially if your cat comes running when she hears you open a can. Many kitties love this fishy treat, but a steady diet can cause malnutrition. As with dog food, it just doesn’t have all the essential vitamins and proteins your pet needs. In large amounts, it can also cause mercury poisoning. Baby food (may contain onion powder). Excessive amounts of treats (increases the risk of obesity). Cooked beef, chicken, turkey, or fish. Cooked whole grains, like couscous, brown rice, barley, or millet. (You may have to mash bigger grains). Steamed broccoli, asparagus, mashed potato – if they’ll go for veggies! If not, try a veggie burger, hold the bun and catsup. Very small amounts of cheese. This completes the protein in their meats, but remember to go easy. Cats love to explore – just make sure the kitchen and pantry are off-limits and/or all foods she may be tempted by are safely out of reach, in cabinets, or in the refrigerator.